One of the most important matters is skin protection from UV radiation. Since the ozone layer is thinning and gradually disappearing over the years, there has been a rise in negative influence of sun rays and we're exposed to more harmful radiation. It's interesting, when I recall how the sun used to be warm without unpleasant tingling, but now, irrespective whether I'm in Norway or Croatia, I feel like it burns my skin. That's why the cream with protective factor is indispensable before leaving the house, especially when sunbathing. 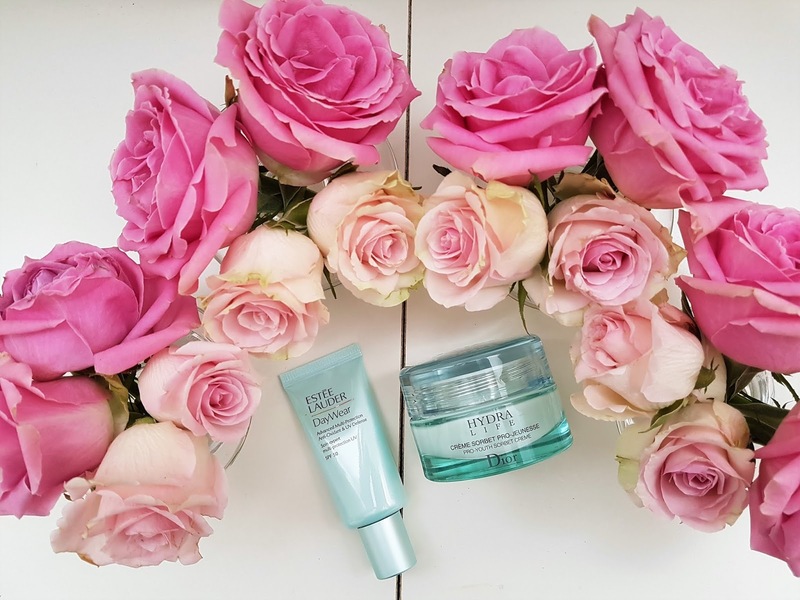 Apart from paying due attention to body skin protection, face skin care is even more significant because it's rather sensitive and the effect of sun rays may result in wrinkles and early signs of aging. I, for reasons stated above, am a supporter of wearing face creams with protective factor all year round, regardless of season. On the market there is a large selection of daily creams with average factor from 15 to 30, which I find acceptable for spring, autumn and winter months, while summer factor 50 is mandatory. I've noticed that many brands, when they launching new lines of sun protection products, inevitably includes cream with factor 50. There are also creams with ingredients for hydration, crinkle alleviation etc. Before coming to Croatia, aware what kind of sunny weather is expecting me, I was searching for a suitable cream. Factor 50 was of course decisive and additional ingredients were just a bonus. 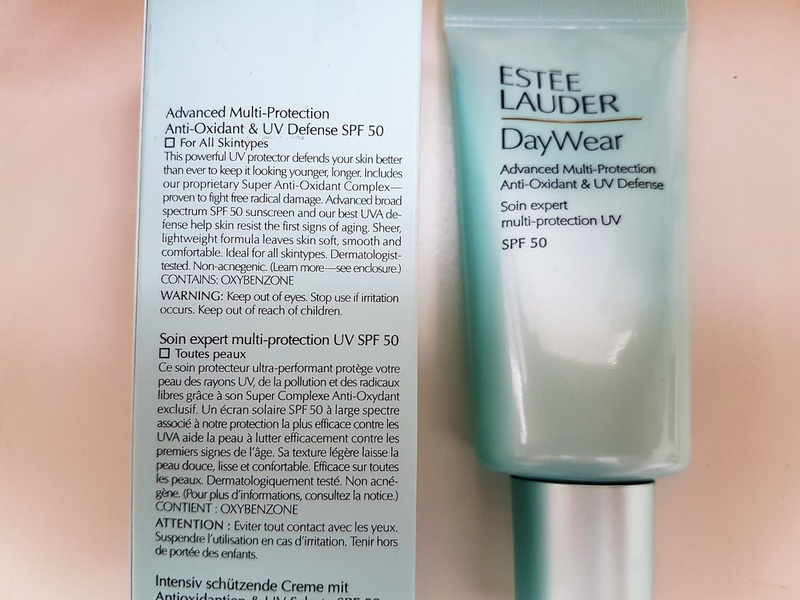 Finally I found such cream on the store shelves, Estée Lauder DayWear Advanced Multi-Protection Anti-Oxidant & UV Defense SPF 50. Once I've read that designing formulas with strong UV protection means reducing varioous ingrediens intended for other purposes. 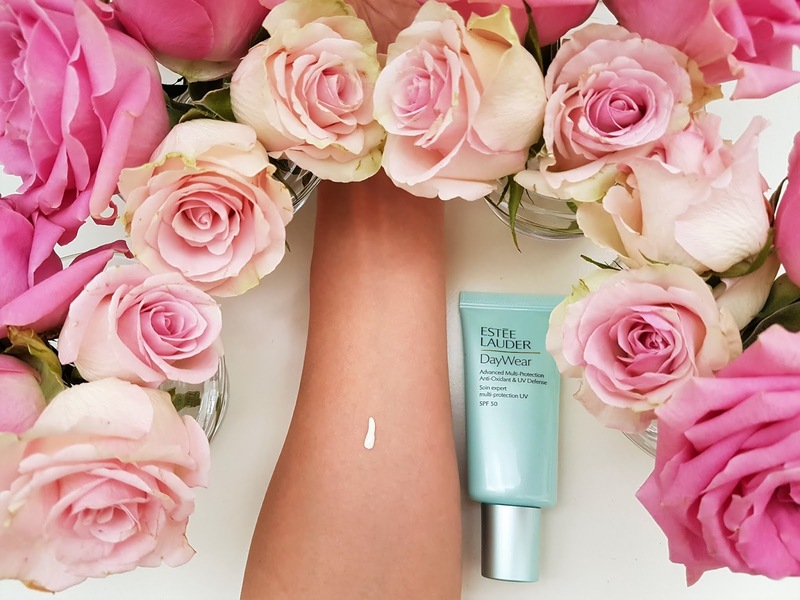 I don't know if that is true, but this cream, aside from being rich with antioxidants, is exclusively crafted to protect the skin against UV radiation. Antioxidants are substances that guards the cells from oxidative activity of free radicals, whose accumulation threatens health and accelerates aging. The most pertinent among them are vitamins C and E, beta carotene and selenium, zinc, coenzyme Q, lycopene and lutein. The official page cites that this is their proprietary, ultimately efficient antioxidant strengthened by super-complex that fights unfavorable free radicals and rejuvenates the skin. Advanced SPF 50 cream is adapted to all skin types and help in defending from undesirable sings of aging. I would describe the texture as typical for all sun creams, denser in relation to daily creams, but silky, light and quick absorbing. Sheer, airy formula overcomes any moisturizing remedy and leaves the skin nicely smooth and soft, while the discreet scent of lemon, grapefruit and rosemary provides a refreshing sensation. The cream comes in a tube and that is personally preferable to me. This way I can squeeze out the right amount, without touching the rest of the product with my fingers, which is, in terms of hygiene, certainly a better option. The 30 ml pack is very practical and you can always bring it in your purse, in case of a need for one more layer. 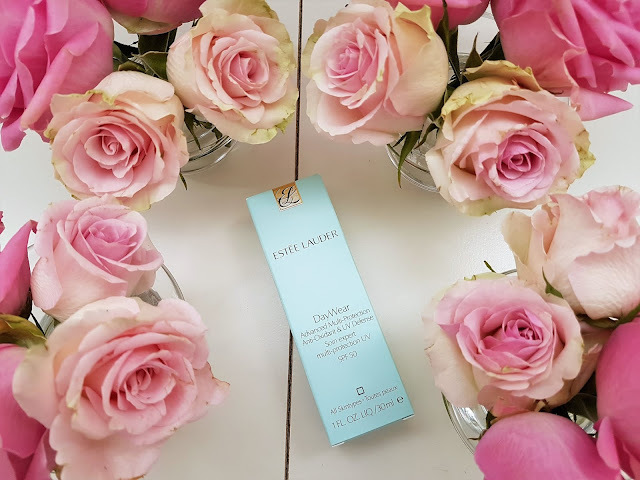 As I already said, this cream is the last step in facial skin care and I apply it after my regular Dior Hydra Life CrémeSorbet Pro-Jeunesse (you can read the review here). Combination proved to be remarkable because while Hydra Life hydrates the skin, DayWear shields it from UV radiation. Together they make it soft, smooth, fresh and gentle and my face, at any point, wasn't too greasy or too shiny. 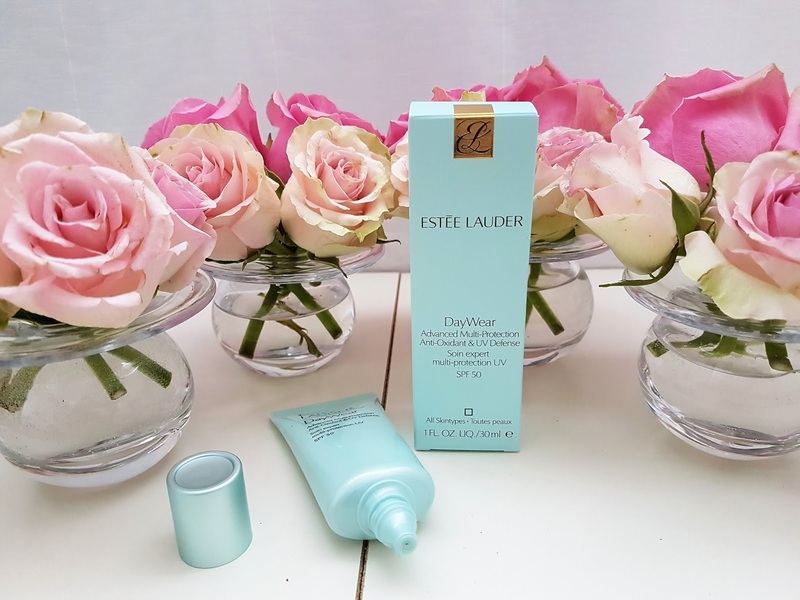 If you are looking for the factor 50, reinforced with antioxidants, light and fast absorbing sun cream for which you don't have a sense you even wearing it, I heartily recommend Estée Lauder DayWear. Still, before purchasing, ask for the tester to check out if it is affectionate toward your skin. I've been using it for about a month and I'm utterly satisfied with the achievements and results of this gentle, yet powerful, day to day sun defender. 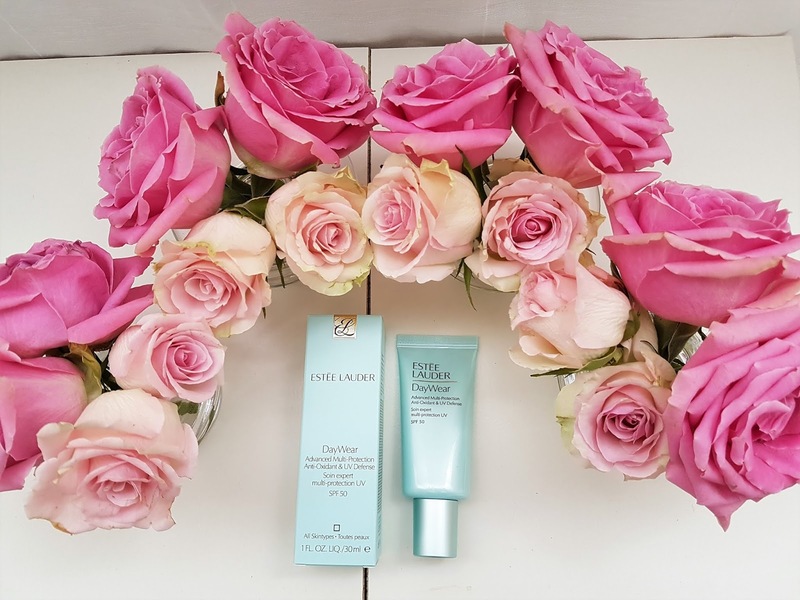 Have you tried DayWear sun cream? What are your impressions? I love this flowers around the product. Nice shots and nice review. Thank you so much dear! I'm glad you love flowers. I also love it. This sounds fabulous! Thanks for sharing. Yes, this Estee Lauder DayWear is fabulous. You're welcome. pretty photos! sounds like a neat product! Thank you so much! Yes, product is awesome! Thank you so much for your kind words! It means a lot for me! Great review. Sounds like a good product. I love this pink flowers. I love them too, they are so pretty. Yes, it is awesome product. Yes, it is pricey product, but it is worth it, because product is awesome. You can ask for tester before buy it. Love estee lauder products! they never disappoint! I completely agree with you. 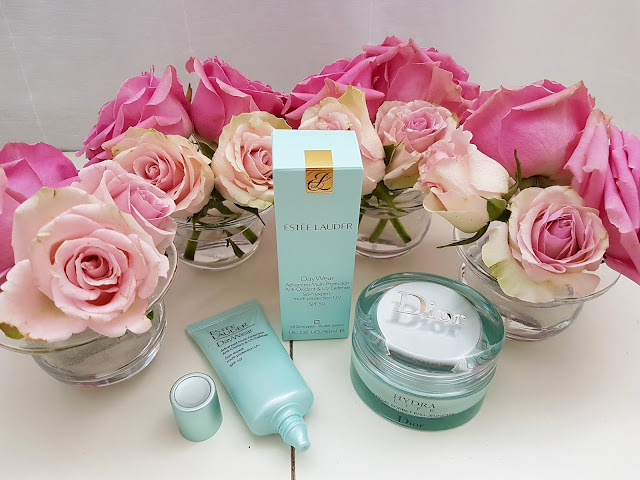 Estee Lauder have gorgeous products. Yes, it is amazing. You should definitely try it. If you try it let me know your impressions. 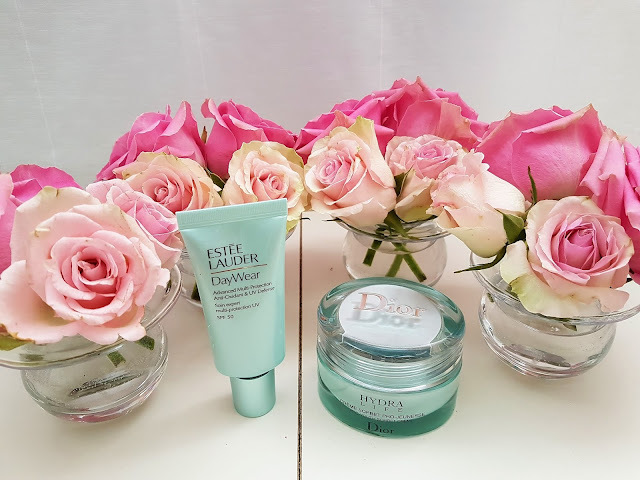 Amazing photos and these two products are great! Thank you so much, dear! Yes, products are gorgeous. I am following you on G+ and just subscribe at your blog. I enjoy testing new products and share my impressions about it on this site. I'm very happy if someone find useful information or new product for yourself. Yes, it is great product. Thank you so much for your kind words. I really appreciate it and it means a lot for me. Thank you so much! Yes, products are awesome, you should try it. I must try it out! I highly recommend it because I'm very satisfied with this product. I haven't tried their skincare products before, but have heard great things; this sounds like a good one. I also love your photos! Thanks for sharing and have a great rest of the week! Thank you so much! 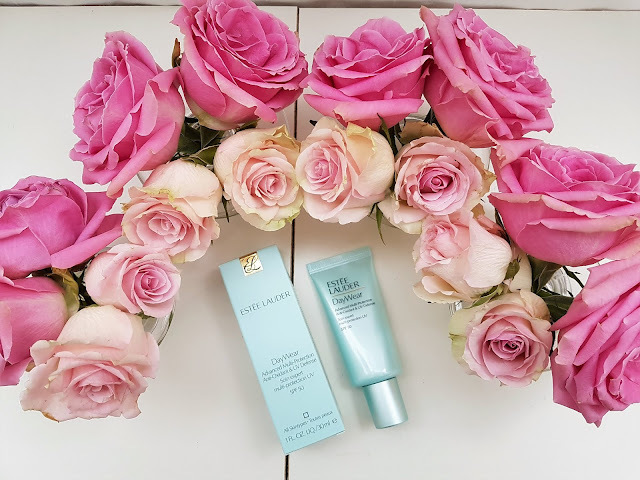 Yes, this is great product, I also use Estee Lauder Advanced Night Repair Serum (I write review before, you can find it in Skin Care section) and it is also awesome product. I haven't tried this, but it sounds great! Yes, it is great product. If you try it, let me know your impressions! as i need spf 50 during summer!! thanks for your opinion :) kisses! I'm glad you find useful information. This cream is awesome, I wear it every day and I'm very satisfied. Your blog look very nice! Thank you so much! Estee Lauder is also one of my favorite brand and I'm glad to hear that you love products from this brand! You are welcome dear. I'm glad to hear that you love presentation of product and review.